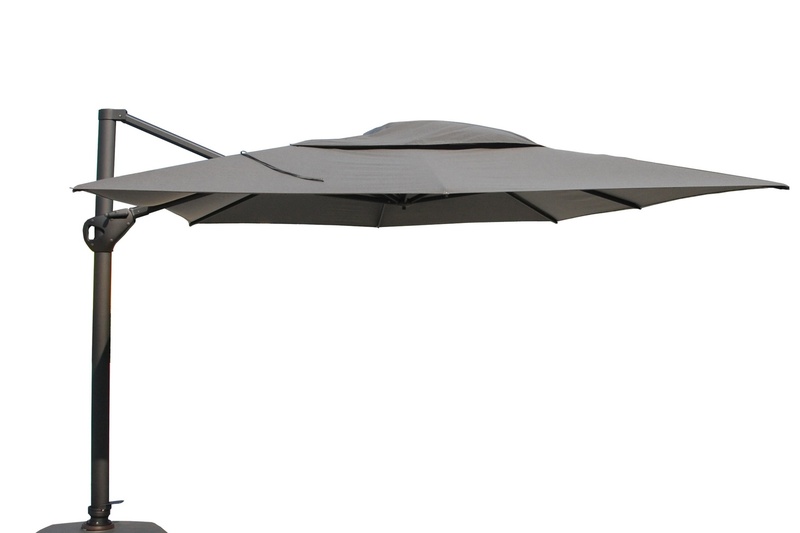 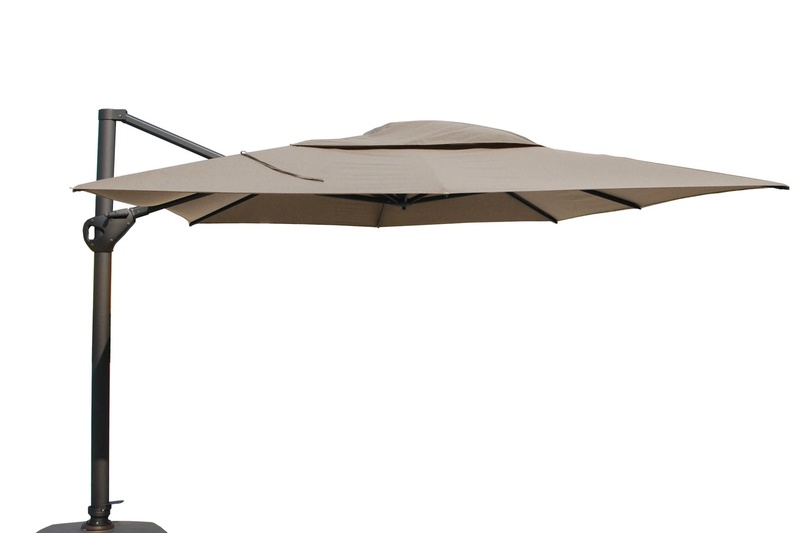 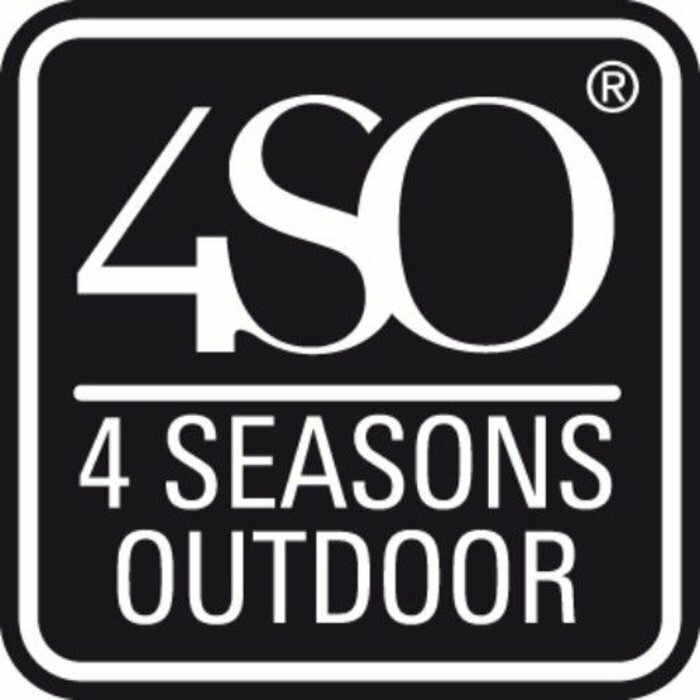 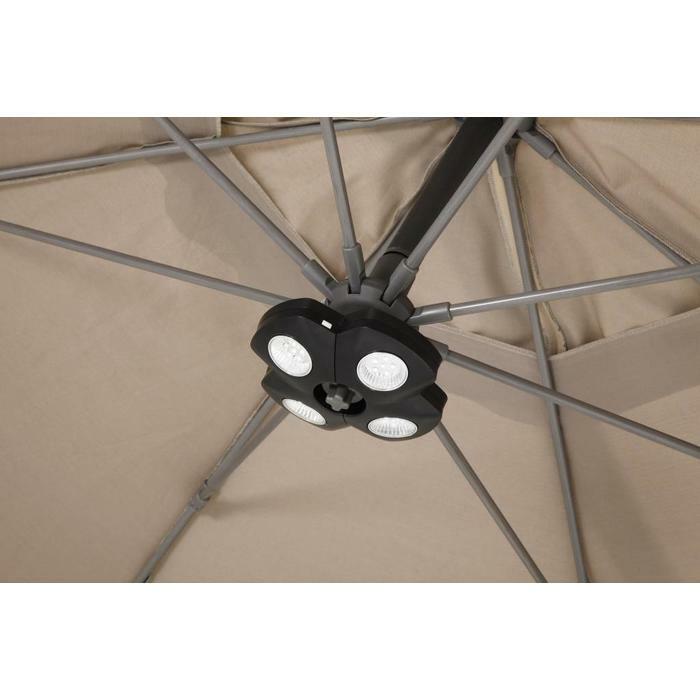 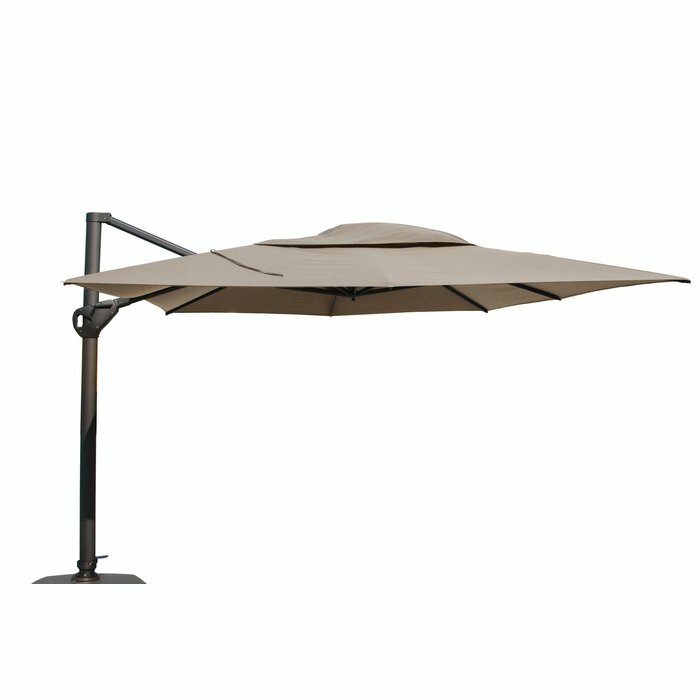 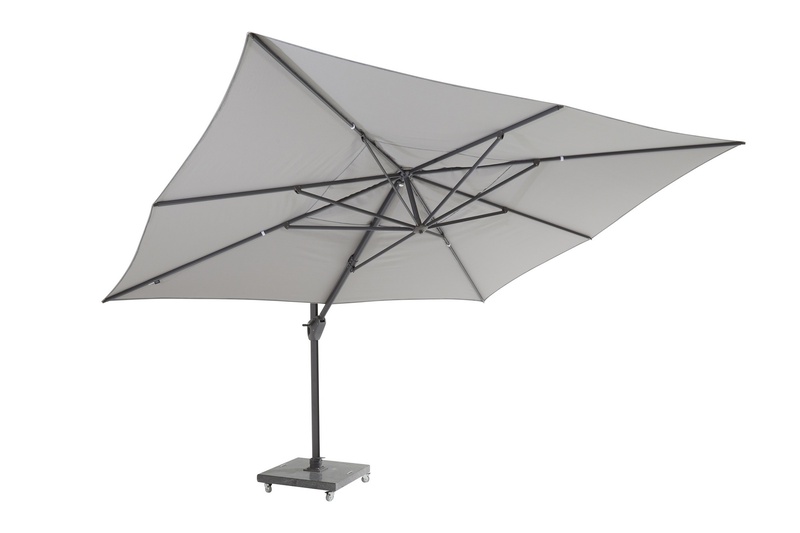 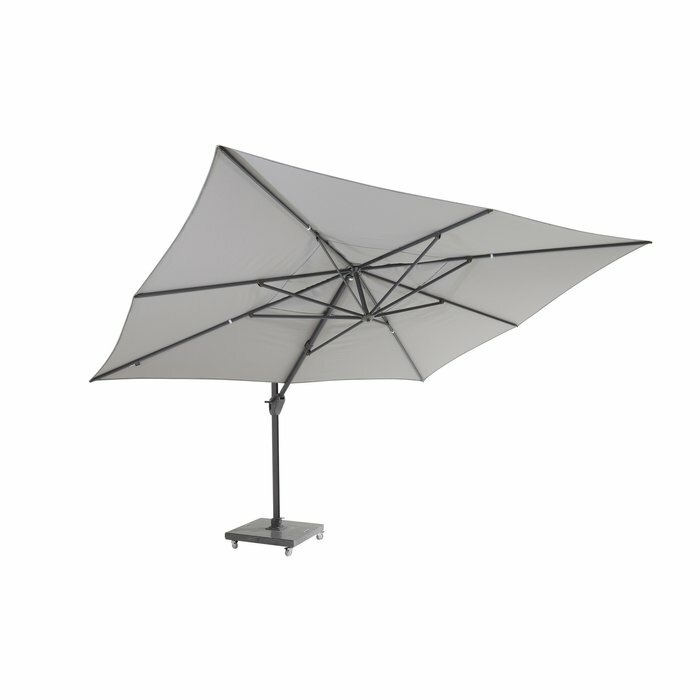 Hacienda parasol has a solefin fabric with the highest possible UV protection. 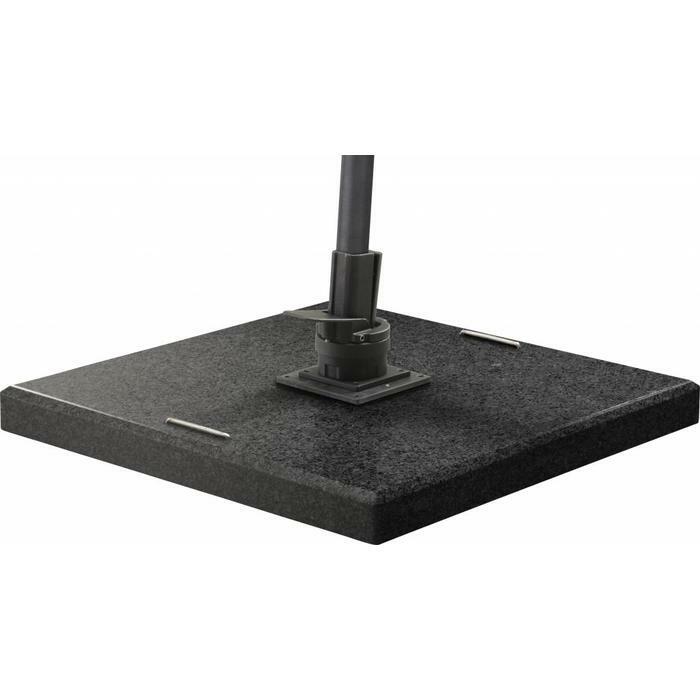 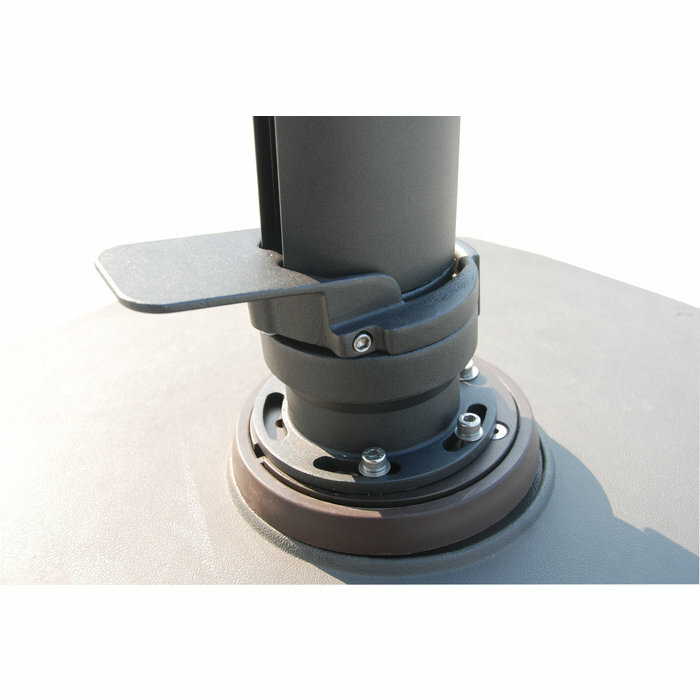 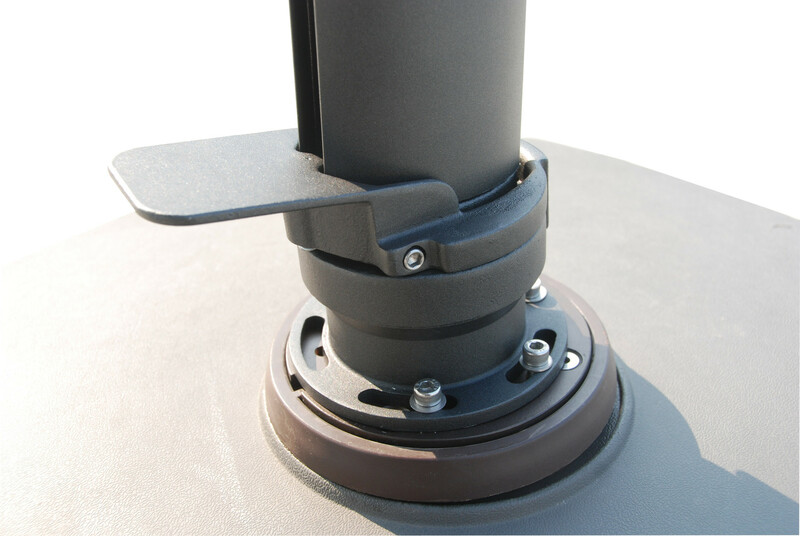 Easy to tilt with the handle and rotate 360 degrees with the footpedal. 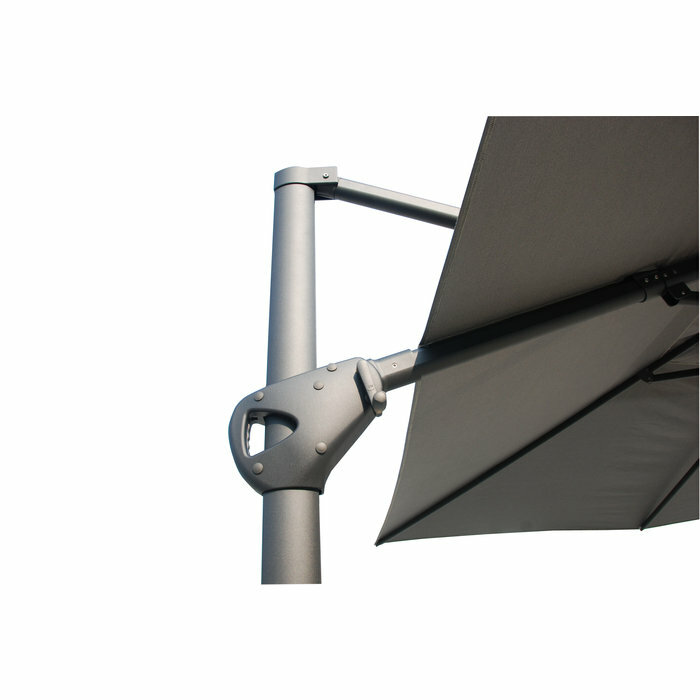 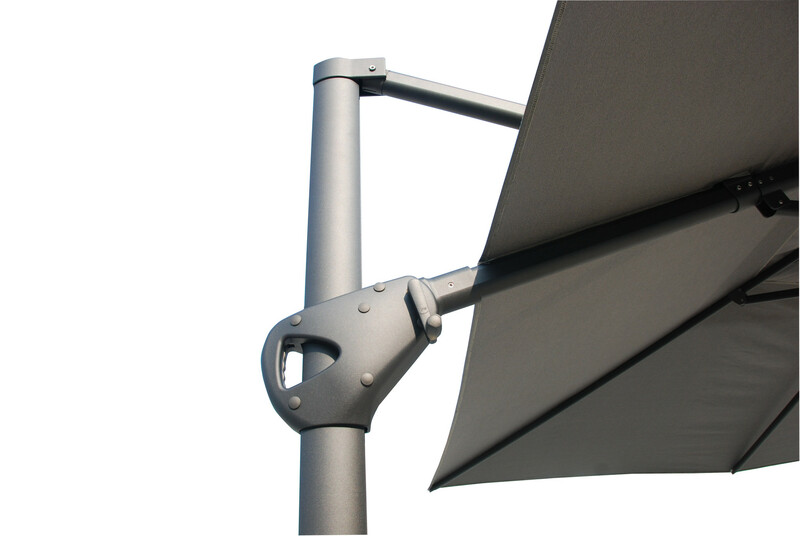 The ends of the ribs are flexible to absorb pressure on the parasol due to possible strong wind.